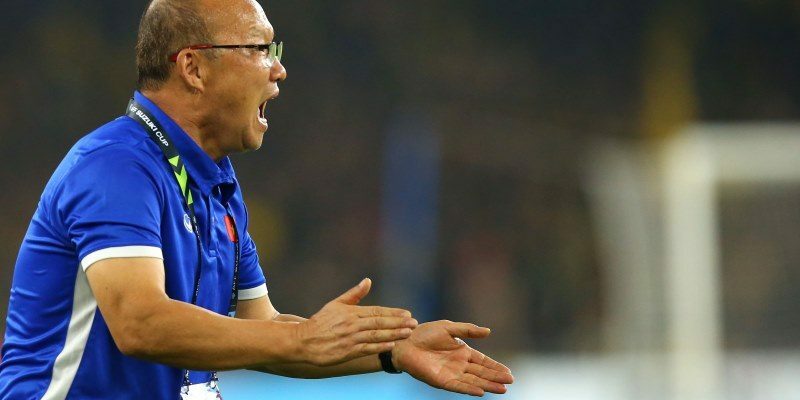 BUKIT JALIL (12 Dec 2018) – Vietnam head coach Park Hang-seo has warned his players against giving away free kicks at dangerous places. This after Malaysia clawed back from two goals down to hold title aspirant Vietnam to a 2-2 draw last night in the first leg finals of the AFF Suzuki Cup at the National Stadium in KL Sports City. “We should not be giving away freekicks at dangerous place. That’s what happened against Malaysia,” said Hang-seo. “We conceded by set pieces and that is tough to take. But we still have the return leg in Hanoi to play for and I don’t see this draw as a big problem. Vietnam went into the game as firm favourites for the title this year as afterall they had beaten Malaysia 2-0 in the group stage. But while the Malaysians enjoyed more of the possession, two quick counters saw Vietnam taking a 2-0 lead in front of more than 87,000 screaming fans. However, Malaysia fought back with the first goal with Sharul Mohd Saad heading in a corner and then Muhammad Safawi Rasid swinging in a wicked freekick from the edge of the Vietnam box.